I love Christmas cone trees. 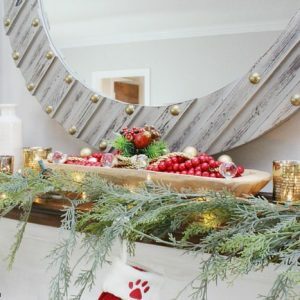 This trend is an easy DIY holiday project that can be personalized to fit your home and your theme… oh, and they are CHEAP to make! They don’t look cheap though, which is what we’re all after, right? Here are the basics… You learn how to make a cone from poster board, light cardboard or even decorative paper. (You could cheat and buy Styrofoam cones, but they aren’t as cheap as they once were!) Glue the paper Christmas tree cone closed. 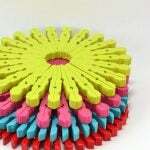 Then use a glue gun or plain white glue to attach…Just. About. Anything. So simple, it didn’t even need a step by step! 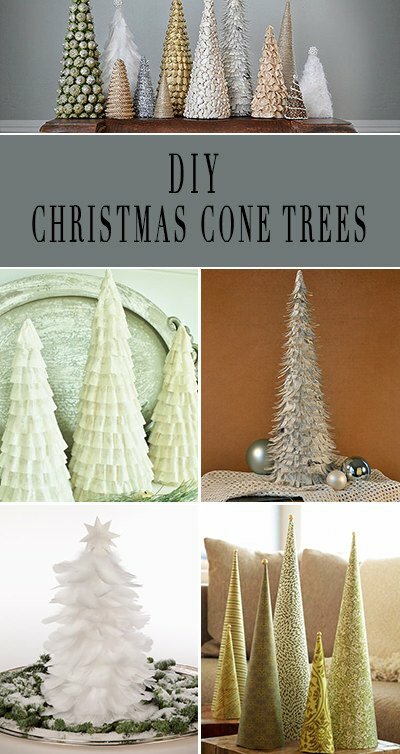 That having been said, we have included a bunch of tutorials below with the inspirational photos… You could make your Christmas cone trees as tall or tiny as you wish, make a whole forest, and make them fun and modern, or elegant and traditional…or somewhere in between… Oh, did I mention that these make a great family project? Win win! 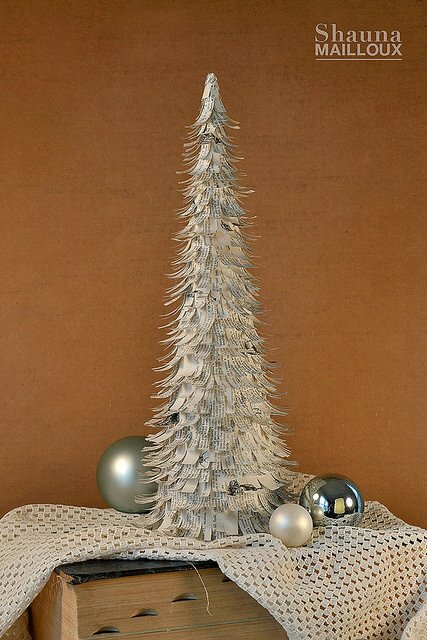 Most of these Christmas tree projects use either a paper or cardboard cone as a base. 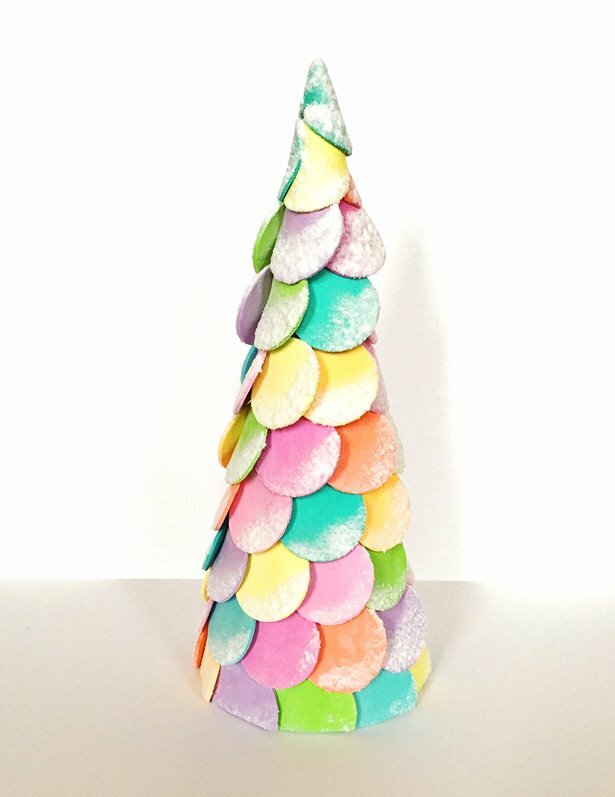 ‘Craftaholics Anonymous‘ has an easy to follow tutorial for their paper Christmas trees made from cardboard cones and ribbon trim. All you need is scissors and a glue gun! 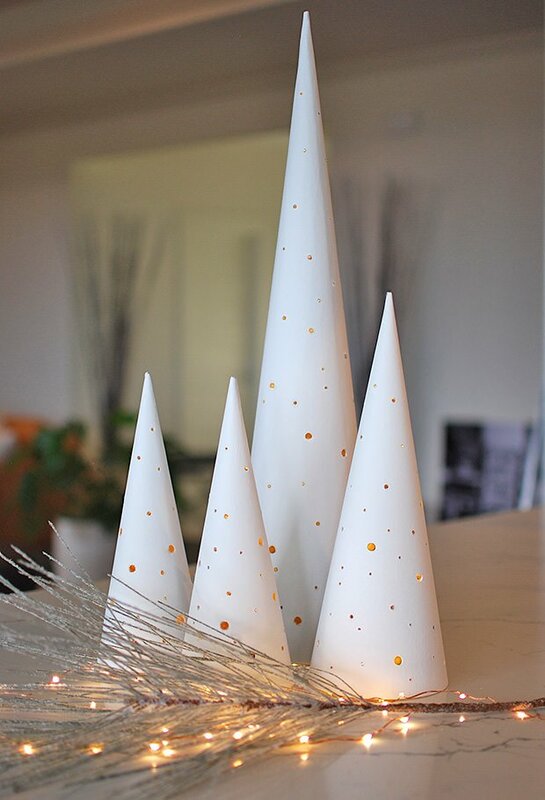 From Faith at ‘Curbly‘, learn to make these DIY paper Christmas trees that sparkle! 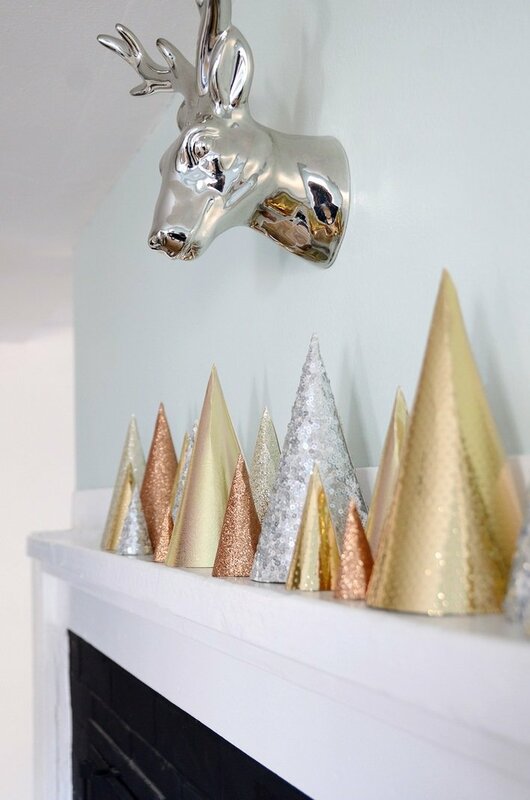 The metallics make these a timeless project for the holidays. And it’s easy! 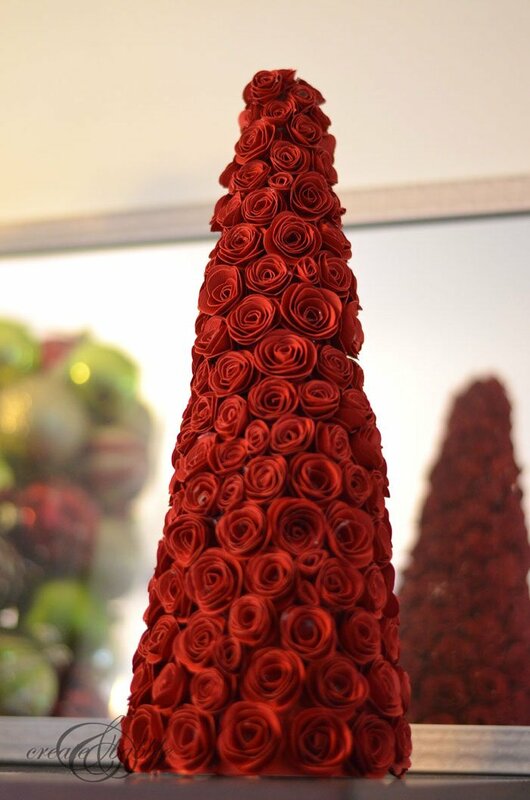 How could you not love these elegant rolled paper rose Christmas cone trees from ‘Create & Babble’? She cut these roses from poster board, but you could do a similar project with paper roses from the craft section! 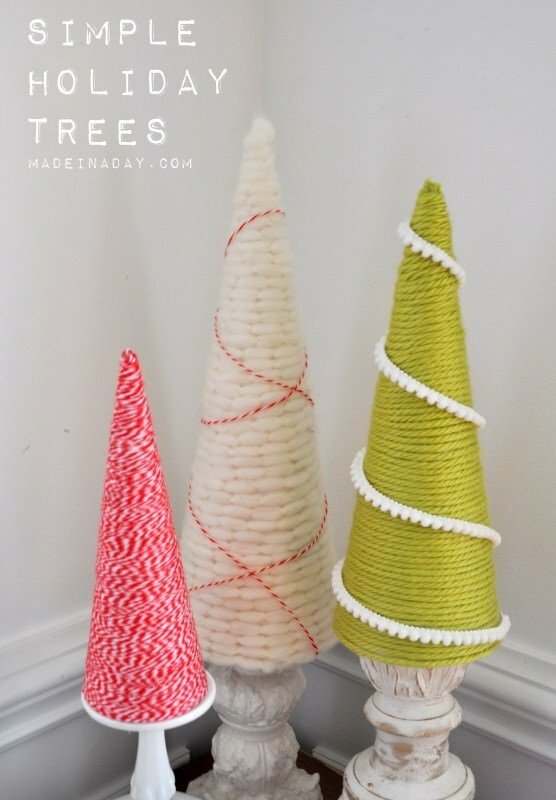 These holiday yarn cone trees from ‘Made in a Day‘ are a great way to use up your leftover crafting scraps. 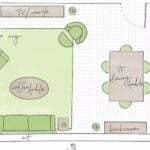 You could make them as bright as you wanted, or your could use neutral tones and texture. Shauna at ‘Beautiful Matters‘ has a bunch of great Christmas cone trees for us, and they were made from cardboard cereal boxes! Love her tutorial on how she did all these!!! She used everything from white beans to dictionary pages! 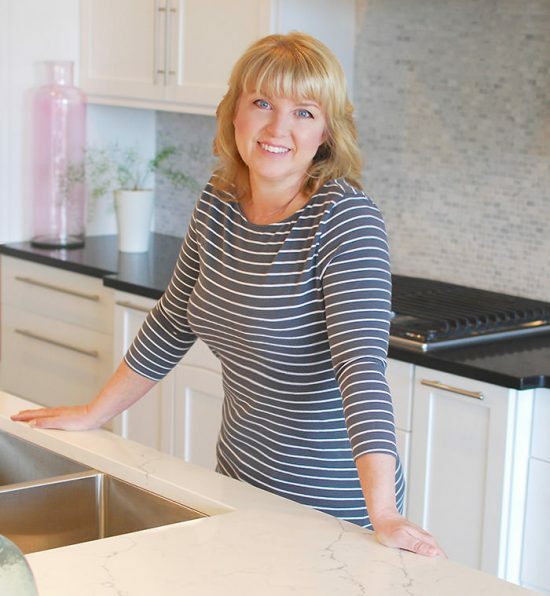 And they look elegant, and even expensive… Great job Shauna! 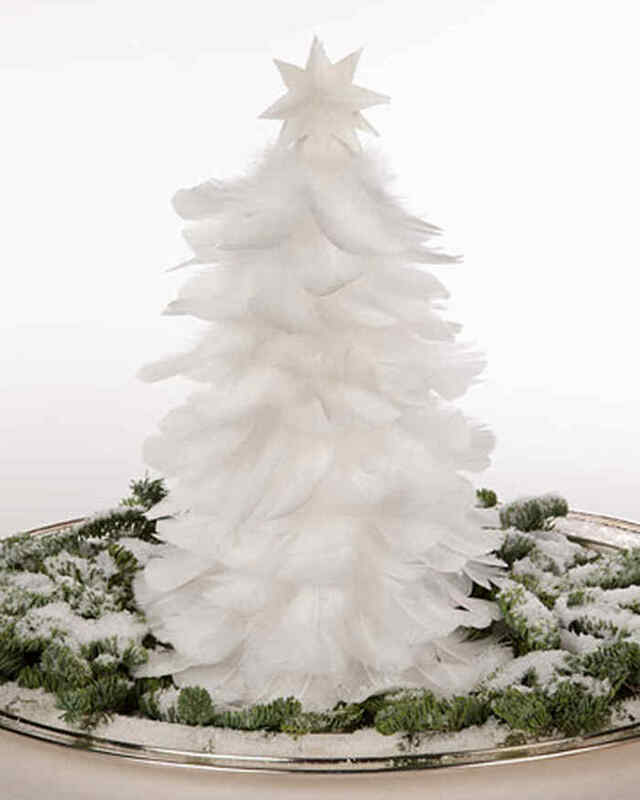 ‘Martha‘ has a cool and ethereal white feather Christmas cone tree for us, complete with instructions! 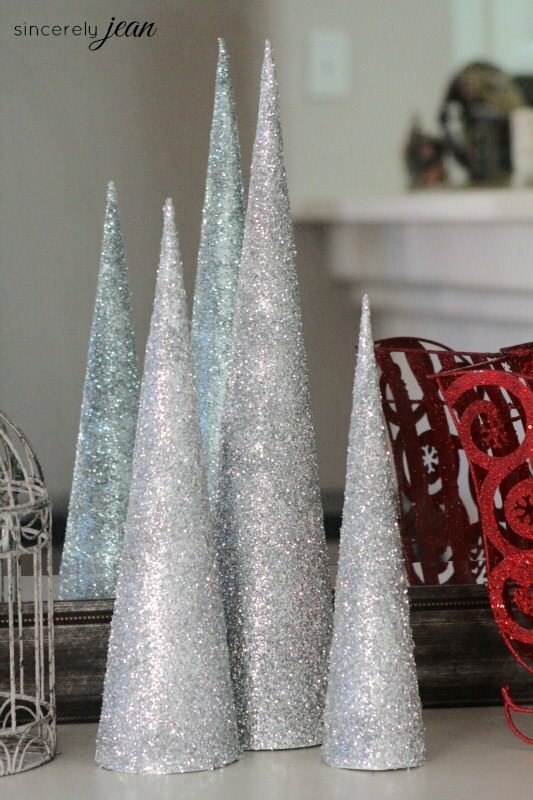 From ‘Sincerely Jean‘, these DIY glitter cone Christmas trees are perfectly glam and lovely! 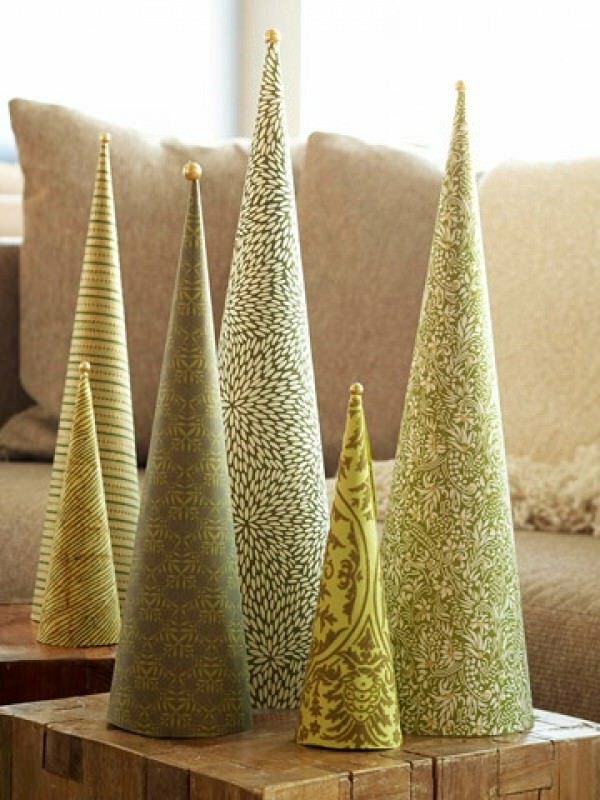 Try this project for quick and easy cone paper Christmas trees from ‘BHG‘. 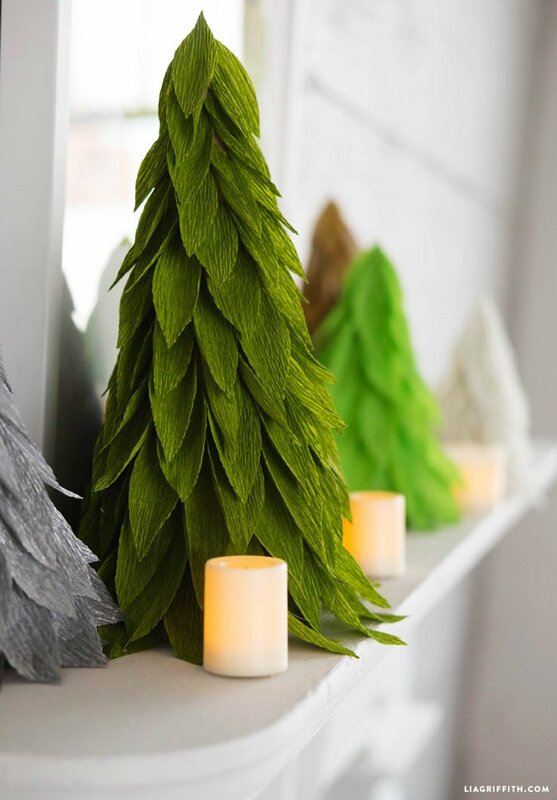 Want a little more fun in your DIY Christmas cone trees? 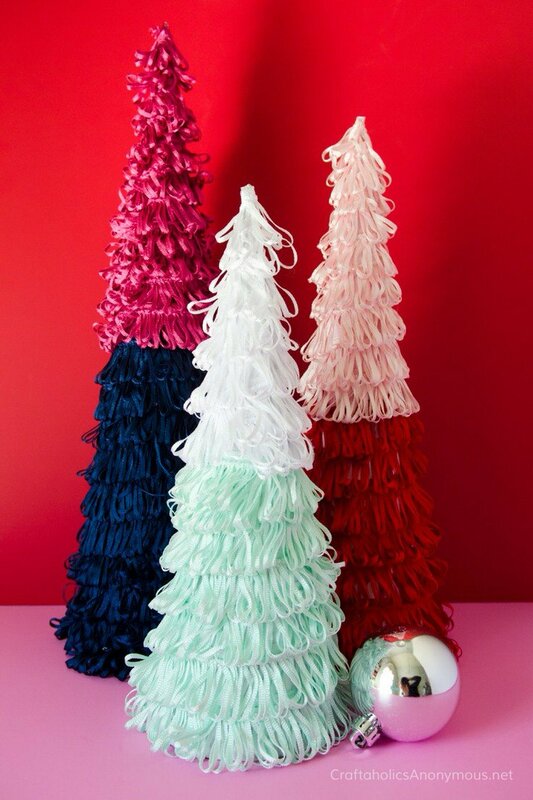 Then try these colorful candy Christmas cone trees from ‘Hello Wonderful‘. 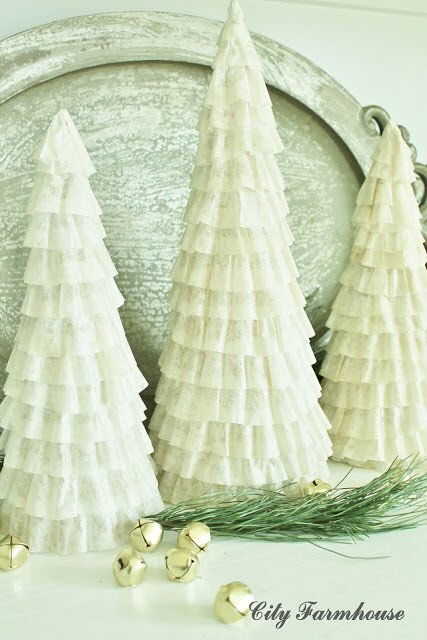 ‘City Farmhouse‘ has a great idea for using those dollar store coffee filters and creating these great paper Christmas trees! Love the creative use of materials! Finally, we have our very own modern DIY Christmas Cone Tree Project! 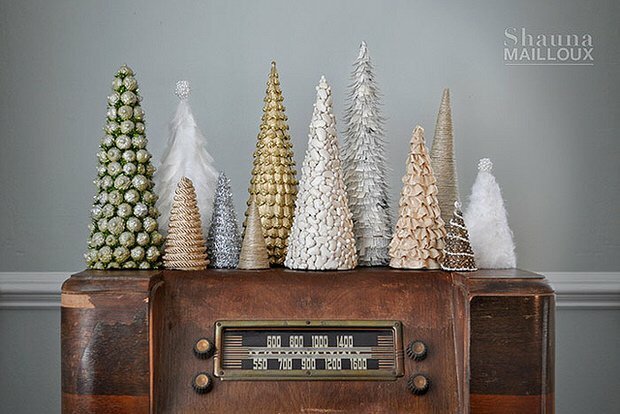 Which Christmas cone trees are your fav? Check out our DIY Mason Jar Holiday Luminaria! And don’t forget to Pin for later! Never heard of stretch velvet, very cool. Best idea EVER…thank you for sharing. 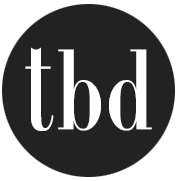 will promote your site to friends. I like them all. I just picked one up at Target Dollar spot for $1 pretty tall and all silver glitter. Can’t beat that price even if you make your own. Thank you for the round-up. What a fun and versatile idea. My daughter is decorating her first apartment and this is a hip-vibe project for very little money. I think they look very elegant, and have plans to search out stretch velvet in turquoise to add some height to my Christmas mantle. Has anyone found a good online source for stretch velvet?